1. 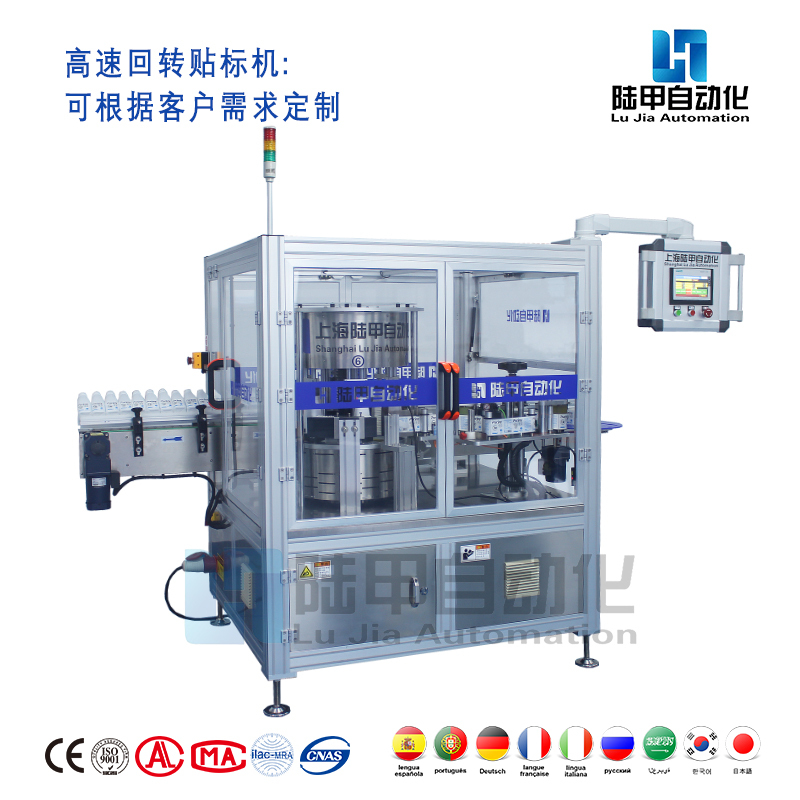 Rotary square bottle labeling machine is suitable for all-week self-adhesive labeling of prescription bottles for medicines, beverages, mineral water and food. 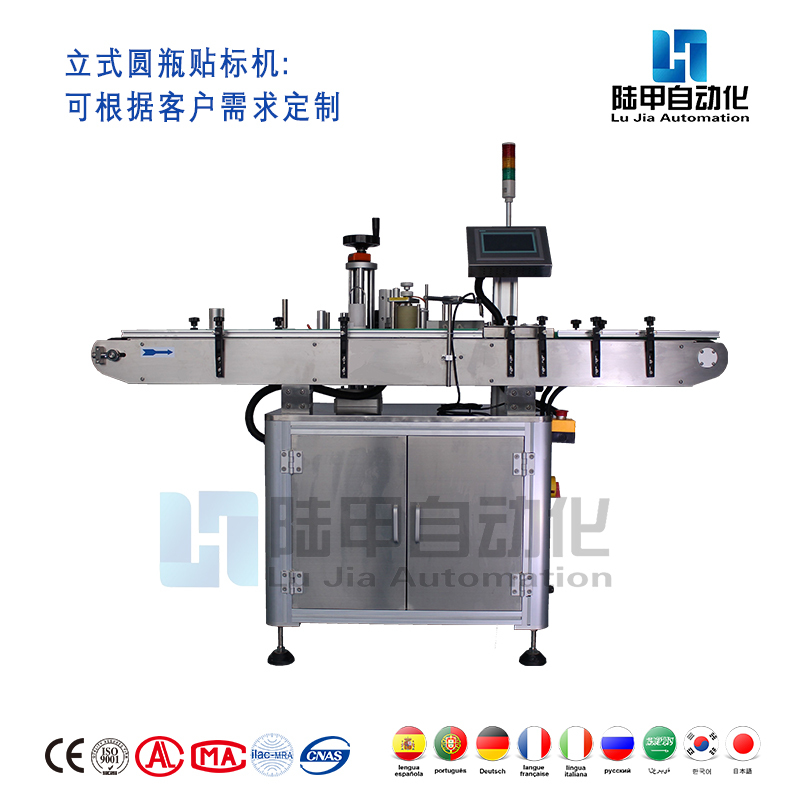 3, high-speed square bottle labeling machine automatic square bottle labeling production process, instead of low-efficiency manual labeling. The labeling effect is good, no wrinkles, no bubbles, and the mating ends of the headers are neat and tidy; the production efficiency is improved, thereby improving the market competitiveness of the products. 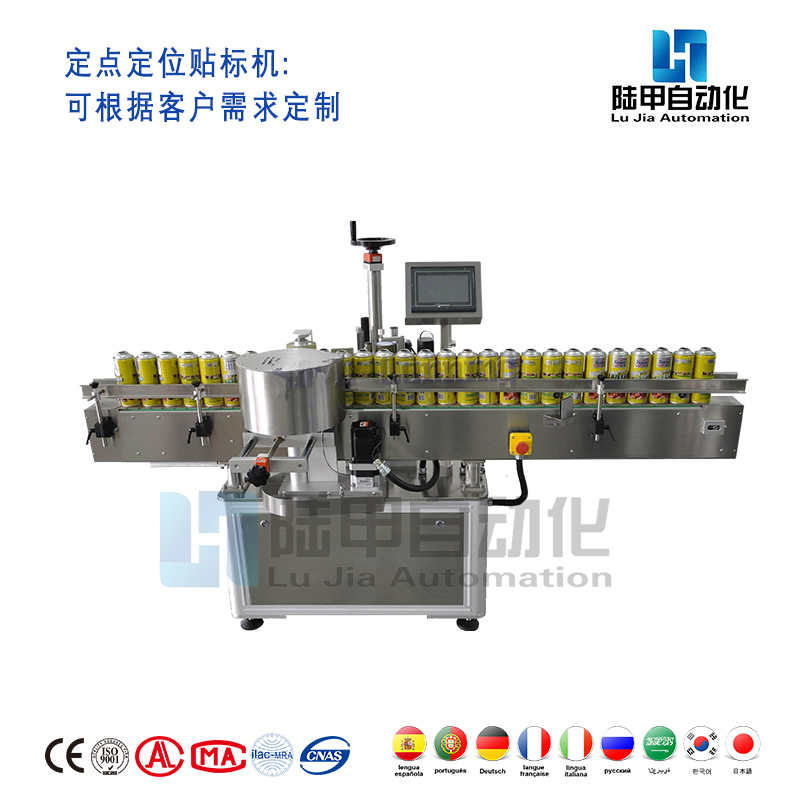 This labeling machine is a new type of labeling machine for rotating and continuous labeling of square bottles; the equipment can automatically adjust the movement of the container in and out; the container conveyed by the conveyor belt is separated by the pitch of the star wheel according to the spacing of the star wheel. The distance, then, the imported star wheel transports the container to the container star wheel turntable, and after the container is fixed by the pressure bottle mechanism and the mold base of the container, the container starts to rotate at a certain speed; the mechanical pre-positioning during the product rotation; And positioning and labeling according to the mechanism trajectory. When the container reaches the electric eye detection position, the computer host controls the label delivery system to perform labeling. 1. User-friendly touch screen, simple and intuitive operation, complete functions, and modular and easy operation conditions. 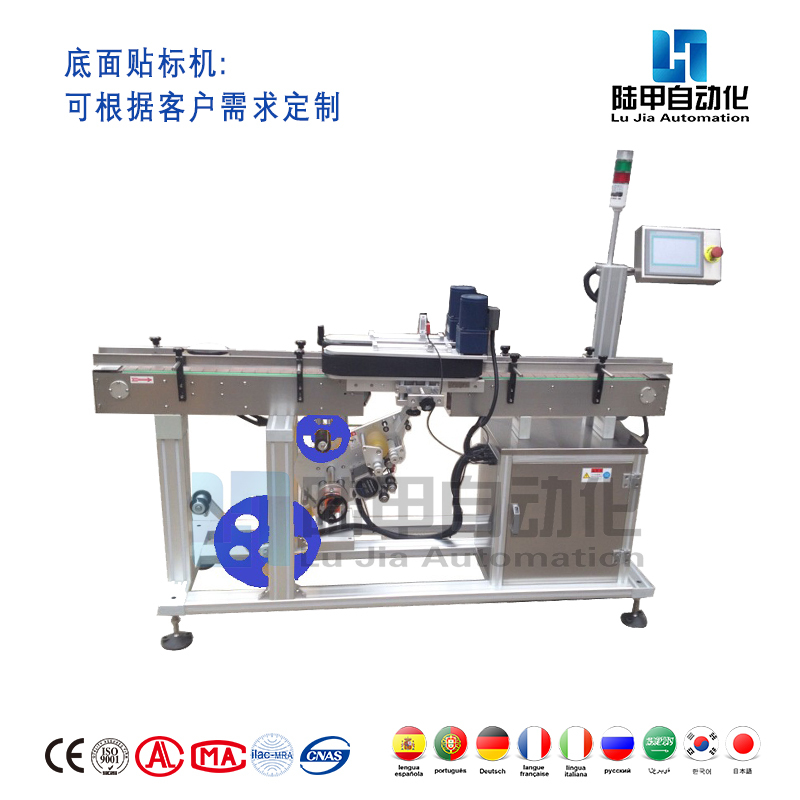 2, the delivery system uses German high-speed servo motor and controller to ensure high-speed labeling and labeling accuracy and stability. 3. The main motor adopts high-performance servo motor to ensure the stability and maneuverability of the whole machine. 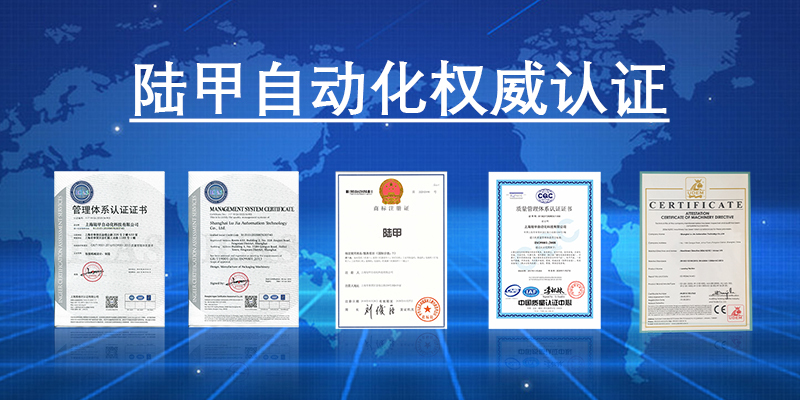 4, the German label inspection standard electric eye, improve the accuracy of the bid. 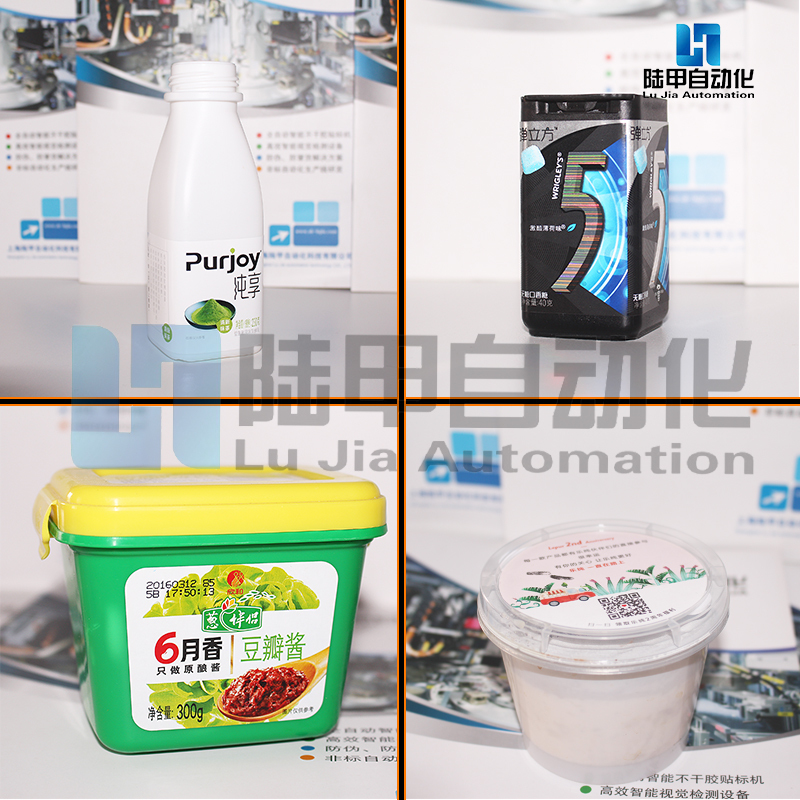 5, a perfect operation protection system, can achieve shutdown alarms such as lack of standard, missing stickers, lack of bottles, card bottles. 6. 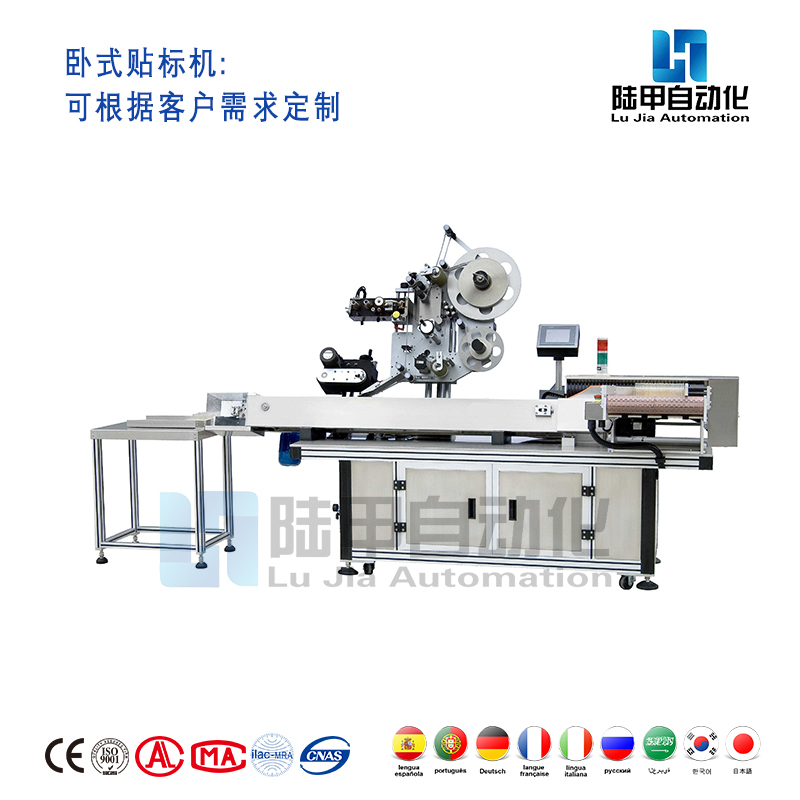 Due to the use of rotary mold positioning self-adhesive labeling method, the sealing accuracy and stability of the labeling are guaranteed. 7. Import electrical components from world famous brands such as Siemens to ensure the long-term stability and reliability of the whole machine. 8. 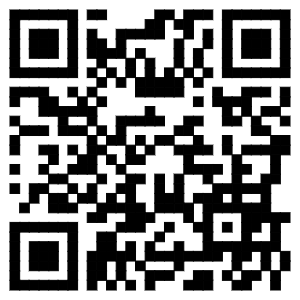 The device reserves the online interface function to facilitate the inline production with other devices.